Minor League free agent catcher Rodney Daal has been suspended 100 games after testing positive for a "drug of abuse" for a third time, the Office of the Commissioner of Baseball announced Thursday. The ban will go into effect when Daal, who played in the Padres system from 2011 to 2014, signs with a new organization. Daal, 20, was suspended 50 games back in May following his second positive test for a drug of abuse. Players are given a warning after testing positive the first time with suspensions starting at 50 games for a second test and 100 games for a third. Drugs of abuse, as defined by Major League Baseball, include marijuana, hashish, cocaine, LSD, heroine and ecstasy, among others. Performance-enhancing-substance suspensions start immediately at 50 games. The Netherlands native played in only 12 games in the Padres system in 2014, three at Class A Short Season Eugene and nine with the club's Rookie-level Arizona League affiliate. Each of those dozen appearances came in August. Daal owned a .271/.317/.424 line with eight home runs and 39 RBIs in 79 games with Class A Fort Wayne in 2013. The Padres initially signed the catcher as a 16-year-old free agent out of Amsterdam back in 2010. 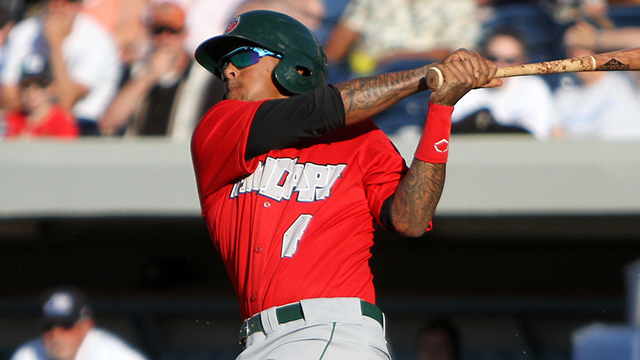 Daal is the 57th player suspended in 2014 for violating the Minor League drug program.